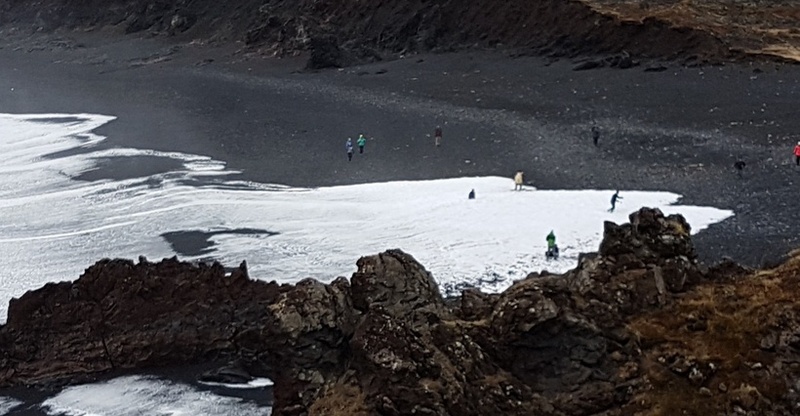 A group of foreign tourists in Iceland were in grave danger today when some of them ran after a huge wave at the famous Djúpalónssandur pebble beach in Snæfellsnes. A wave caught the people and carried them far into the beach. The incident was caught on camera and guide Þór Gíslason at IG Tours was one of the witnesses. "We were just walking away and we see this huge wave coming in and three people running away from it. 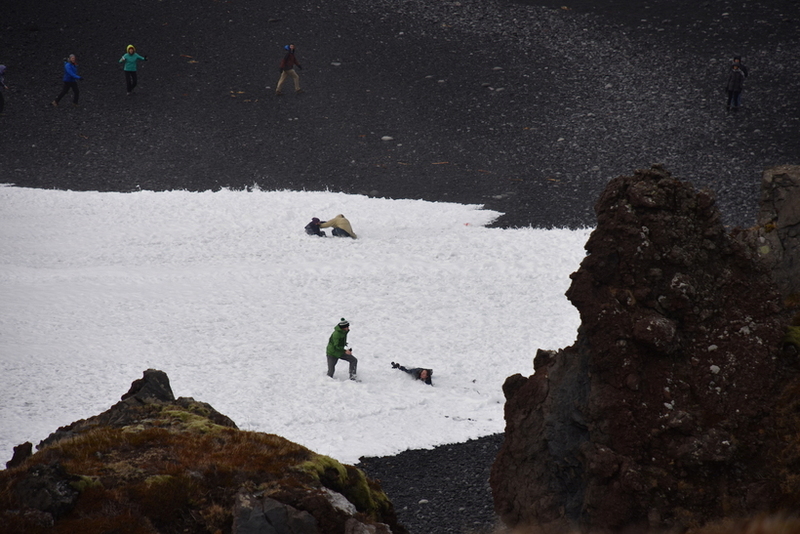 But then three people run after it as it goes back out to sea, fooling around. That's when another, even larger waves came along. People don't realise this. Three or four huge waves came in a row and they try to run from the first one. " Gíslason says speaking to mbl.is that the people were completely submerged for a while and were carried by the wave to a ridge of sand in the upper part of the beach. "What saved them is that they were carried across the ridge and therefore didn't get towed away again, they ended up on the other side in a puddle."